My husband and I work out a lot. That means we usually experience some kind of soreness that we either need to ice or heat. Years ago I was looking for a heat pad and I couldn’t believe how expensive they were. So true to form I looked up how to make my own homemade heating pad and found out that it was super easy to do on your own. I am not crafty and even I can make this heating pad. You simply take the sock and pour the rice into the sock. Then tie a knot at the top and you are done!! 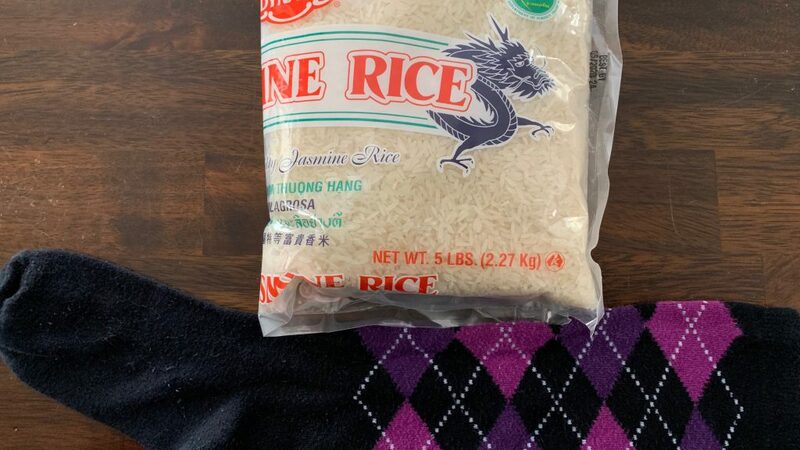 Depending on the size of the sock you may need anywhere from 2-4 cups of rice. You want to make sure that there is room for the rice to move (meaning don’t pack it in). I put the rice sock into the microwave for about 50 seconds to 1 minute and then place on it the area that is in need of some loving (like around my neck or on my low back). It really is that simple. 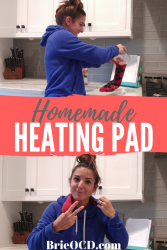 There is no wrong way to store your homemade heating pad. I just throw it in one of the junk drawers in my kitchen for ease of use when I need it! It is also amazing to help you warm up on those chilly winter mornings. Hello 5 am! 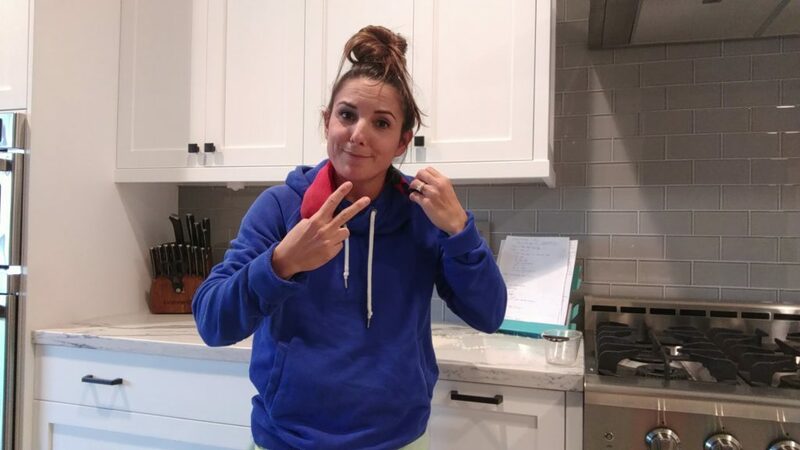 That heat sock goes right around my neck! I hope this was helpful. Watch me do it in action on my YouTube Video Below or by clicking here!